Be the first to share your favorite memory, photo or story of Diana. This memorial page is dedicated for family, friends and future generations to celebrate the life of their loved one. Diana Lynn McGilvrey, age 66 of East Dubuque, Illinois, and formerly of Grinnell, died on Monday, December 3, 2018 at her residence. A funeral service will be held at 10:30 a.m., Saturday, December 8, 2018 at the Smith Funeral Home in Grinnell with Rev. Steve Savage, pastor of the Friends Church in Grinnell, officiating. Interment will be at Hazelwood Cemetery in Grinnell. A reception will follow at the Elks Lodge in Grinnell. Memorials may be designated to the Diana McGilvrey Memorial Fund, mailed in care of the Smith Funeral Home, PO Box 368, Grinnell, Iowa 50112. Memories and condolences may be shared with the family online at www.smithfh.com. Diana Lynn McGilvrey was born on February 23, 1952 in Newton, Iowa to Robert and Ellen (Kellogg) McGilvrey. She was raised in Grinnell and graduated from Grinnell High School with the class of 1970. She attended Iowa Valley Community College and graduated with honors. Diana lived in Grinnell all of her life. She was blessed with four daughters, Tanya, Tara, Tisha and Ashley and she loved being able to raise her daughters as a homemaker. The most important things to her were faith and family, especially her grandchildren. Her enjoyments included knitting, baking, dancing, and celebrating the holidays, especially Halloween. She will be remembered for the love of her family, for a having the biggest heart, and for being pure and genuine to others. 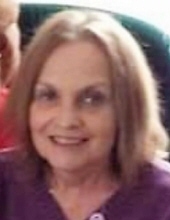 Diana is survived by her mother, Ellen (Tom) Ellis of Grinnell; four daughters, Tanya (Rob Weuve) Thompson and Tara (Donnie Doyle) Thompson of Grinnell, Tisha Conn of Iowa City, Iowa, and Ashley Thompson of East Dubuque, Illinois; 18 grandchildren and 3 great grandchildren (who lovingly referred to her as "Grandma Gonzo"); and her siblings, Mike McGilvrey of Conroe, Texas, George McGilvrey of Waterloo, Iowa, Deb McGilvrey of Grinnell, and Laura (Dave) VanCompernolle of Grinnell. Diana was preceded in death by her father, Robert McGilvrey; and maternal and paternal grandparents. To send flowers or a remembrance gift to the family of Diana Lynn McGilvrey, please visit our Tribute Store. "Email Address" would like to share the life celebration of Diana Lynn McGilvrey. Click on the "link" to go to share a favorite memory or leave a condolence message for the family.